Deborah Evans has announced her retirement this week as Managing Director of the West of England Academic Health Science Network (AHSN), with effect from 31 March 2018. Deborah has been managing director of the West of England AHSN since it was set up in 2013, as one of 15 AHSNs across the country established by NHS England to spread innovation at pace and scale. 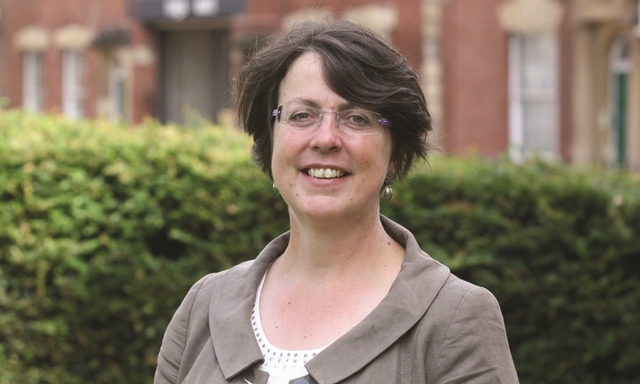 Chair of the West of England AHSN and Vice-Chancellor of the University of the West of England, Steve West said: “After a long and distinguished career in the NHS, Deborah joined us to form and lead the West of England AHSN as our Managing Director. “She brought huge insight, passion, determination, vision, compassion and humour and has built a fantastic team around her. With many successes both local and national to point to, Deborah has announced her retirement. I know everyone will join me in wanting to thank Deborah and celebrate her achievements. Prior to joining the West of England AHSN, Deborah had worked in various hospital management and commissioning roles for 30 years, and was chief executive of the Bristol, North Somerset and South Gloucestershire Primary Care Trust Cluster for 10 years. Deborah’s time as managing director will end as the AHSN’s first five-year licence from NHS England comes to an end. Over the next six months, Deborah and her team will continue to work on the transition towards a new phase for the AHSN. Deborah Evans said: “I have loved leading the West of England AHSN since its inception, and working closely with all our commissioners, providers and partners across the West Country. We have contributed to developing a better ecosystem for innovation and we have improved outcomes through our improvement and patient safety work. “We have established a great track record on working with companies and, as our work in particular with Local Economic Partnerships matures, we are in a strong position to meet the challenges set out in the new licence. Odgers Berndtson has been appointed to oversee the process to recruit Deborah’s successor, with interviews taking place in November.